Ukraine's grain exports are growing at moderate pace. In the new marketing year 2014/15, by mid-October, Ukraine has exported over 6 million metric tons of wheat and over one million tons of barley. Concurrently, the 2013/14 corn marketing year is approaching completion with over 18 million tons already exported. Grain stocks are high due to a large production, but will likely deplete as the trade rallies on the expectation of another large corn harvest in 2014/15. Domestic grain prices at the start of the new season were lower than in the previous year and are expected to maintain low throughout the season. Winter crops have been planted in favorable fall weather conditions. The harvest of grains in the Marketing Year (MY) 2014/15 is nearing completion. Additionally, according to Ministry of Agrarian Policy and Food of Ukraine (MinAg) production statistics, as of October 24, 2014, 16.8 million metric tons (MMT) of corn were harvested. Wheat quality is reported to be high with the majority of grains produced this season rated at food grade. Corn quality and yields are reported to be lower than in the previous year, mainly due to adverse weather conditions throughout the mid and late summer. This season corn was harvested as early as August in southern regions of Ukraine, as plants reached the harvest stage earlier than expected due to continuous heat and dry weather conditions in this area. Note, some production sites in the eastern part of Ukraine (Donetsk and Lugansk oblasts in particular) have not been reporting on the harvest progress consistently due to military operations in the area. Also, not all of the production data was available in this region because harvesting was difficult or impossible due to the ongoing conflict. Winter crop planting for the 2015 harvest continue with some delays compared to the previous season. Some production areas in Eastern Ukraine are not expected to be planted as a result of military operations in the region. In 2013, Donetsk and Lugansk oblasts accounted for about 4.9 and 3.4 percent respectively of Ukraine's total grain production area; while in wheat, production in these regions accounted for about 6.6 and 4.6 percent respectively. Also, fertilizer and chemical use in general is expected to be lower in 2014 and in 2015 due to the overall unfavorable economic situation in the country. Prices of import-dependent agricultural inputs as well as those whose production in Ukraine involves the use of natural gas have been increasing through 2014. Prices for fuel and various inputs expressed in local currency are expected to continue to grow in the near future. The main factors behind these effects are the significant devaluation of local currency (over 70 percent during the period from January to October 2014) and difficulties in trade with Russia (prior to 2014, Ukraine used to purchase most of its natural gas supply from Russia). Producers have been reporting 20-40 percent increases in production expenses in 2014. According to MinAg, the pace of Ukraine's grain exports have picked up in recent months. Between July 1 and October 22, 2014, the country has exported about 6.2 MMT of wheat, 3.1 MMT of barley, and about 1.3 MMT of corn. The trade has made an effort to reduce the quantity of wheat and barley in storage on the expectation of another large corn harvest soon to come. Also, the new season's corn has already started shipping to ports for export. Domestic wheat and barley prices have rebounded slightly after the usual drop at the start of the season. Corn prices seem to follow a similar pattern. However, in the current season grain prices so far were 5-15 percent below those at the start of the previous marketing year. Producers as well as traders seem to be quite active with grain sales, especially for exports. Because the local currency has devaluated significantly (by 64 percent), the inflow of hard currency from the world market helps them offset the significant increase in production, credit, and other expenses reported in local currency. Additionally, in the last half of the year, grain traders have been expanding sales to the European Union (EU) as well as to Asian destinations. High wheat and barley production in Ukraine in MY 2014/15 resulted in high stocks at the start of the season. The country also expects a favorable harvest of corn though not at record numbers as was the case in the previous season. With exports flowing at a steady rate, grain stocks are anticipated to decline after the first several months of the marketing year, as expected. In the current season, GOU may be inclined to keep higher milling wheat stocks, especially in the State Reserve, due to the ongoing conflict in Eastern Ukraine and to ensure the country's food security. For MY 2014/15, MinAg and the Ukrainian agricultural industry representatives have once again signed a Memorandum of Understanding (MOU) on grain trade. 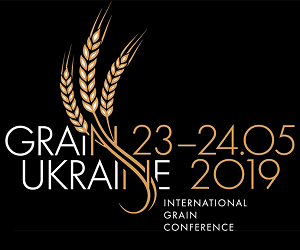 Similar to the previous seasons when the MOU was in place in Ukraine, grain exports would not be restricted by the government unless domestic grain supplies approached a level where the country's food security could be at risk. Note: Source's say this scaled figure is calculated at approximately 20 percent of the previous year's production. According to the MOU, in the MY 2014/15, MinAg was mandated to closely monitor grain supplies and export quantities. 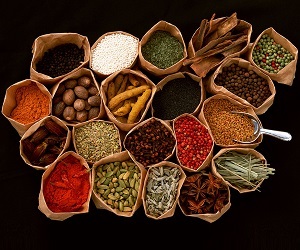 The industry agreed to report to MinAg data on trade executed as well as their intended export quantities. MinAg has been producing aggregated grain export data and releasing this information on a weekly basis to all market players for their reference and planning purposes. Non-restricted export quantities are to be finalized by November 25, 2014 depending on the final grain production data in Ukraine which is expected to be available by that time.